Analyzing the skin type could be confusing and is best left to the experts. Once you understand your skin type, it is easy to take good care of it. It is our prized possession. Similar to how an artist presents his art to the world, skin is a canvas that showcases your beauty to the onlooker. It helps in aging gracefully. 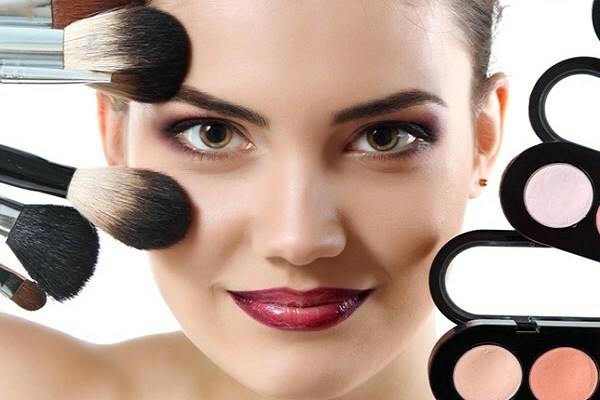 Personal makeup workshop can help identify the skin types and provide the right nourishment. 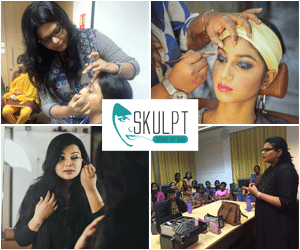 Makeup courses in Chennai explain how the skin can be divided into five different types, normal skin is free of blemishes and has enough elasticity to spring back into position. Wrinkles appear only with age. Dry skin feels light but looks flaky, with deficiencies in natural oil, blemishes, and you can find small pores in the skin. Due to lack of moisture wrinkles are common. It is important to keep the skin hydrated. The oily skin comes with issues of blackheads, acne, and large pores. Though it stays youthful and wrinkles are found with age. Combination skin type comes with problems in the T zone of forehead, nose, and chin. Sensitive skin type is vulnerable to the outdoors. It becomes red and itchy. A sunscreen can protect from sunburn. One of the largest concerns when it comes to identifying skin types is to meet its diverse needs. It is a mystery even to the experts. Change is constant in the skin as it is a living organism and responds to change both internal and external. Anything that is smooth and even in normal skin and it is hard to find any blemishes. Dry skin also comes with subtle texture, and it is transparent. But it is easy to find fine lines around the mouth and eyes. Oily skin is a result of over production of oil, and you can find the skin thicker and coarse. It tends to be shiny and dehydrated due to regular cleansing. Sensitive skin is delicate with red spots and pores. It is allergic to detergents, water, cosmetics and even change in temperature. Combination skin is found in the T zone and has more oil glands than other regions of the face. Choosing a cosmetic based on your skin type is crucial. Each skin needs to be treated; differently, the regime differs with the skin type. Oily skin needs a facial pack to clear the pores and reduce the oil formation; clay base is the right choice, it keeps your skin soft and delicate. Green, red, white and pink clay come with different benefits. For oily skin use green clay with essential oils as it reduces inflammation and pimples. For dry and sensitive skin, use red clay with a few drops of rose oil and chamomile oil. If your skin feels dry and exhausted, try pink clay as it has excellent cleansing properties. Diet can influence your skin. Depending on the polyunsaturated fats in your body, the health of your skin is determined. This can be found in nuts, cereal grains, and vegetable oils. Vitamin C builds collagen and elasticity in your body. Green sprouts, oranges, lemons and red peppers contain Vitamin C. Vitamin A is found in parsley, carrots, watercress, celeriac, and pumpkins and it removes dryness. A balanced diet can rejuvenate your skin and promotes its good health.